June 16, 1883 was the first Ladies’ Day for the New York Gothams, later called the New York Giants. It was designated to encourage ladies to attend baseball games. Ladies were admitted to the park free of charge. This was so popular that soon ballparks all over the country were having Ladies’ Day. But there was one lady who didn’t want to go to the park for free, she wanted to play the game. Her name was Florence (Florrie) O’Rourke. In 1901, when she was 12 years old, Florrie was captain for the best neighborhood team in New York. She and her teammates were invited to be guests of the New York Giants, but on her way into the park there was an argument at the turnstile when the ticket taker wouldn’t believe that a girl was on the team. Florrie not only got into the park on that day she also pitched from the mound. By the 1920’s she was the first baseman for the New York Bloomers Girls’ Team. At the end of her career with the New York Bloomers she changed her name to Peggy O’Neil and became the first female umpire for major league baseball. You can learn more about her and see her collection of memorabilia at the Baseball Hall of Fame. 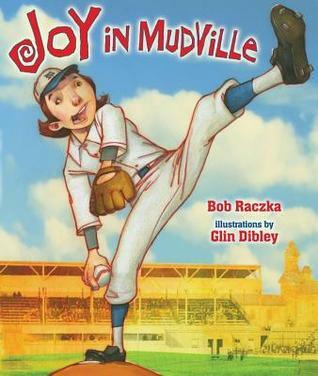 For a fun picture book about girl’s baseball, read my review of Joy in Mudville, a rhymed story in the same style as ‘Casey at the Bat’, written by Bob Raczka and illustrated by Glin Dibley.